I was exchanging messages with someone the other day, and they asked me about the inspiration for the characters in my story; or more specifically, about what was behind the character of Reed Cooper, the pilot with the gunfighter eyes. To be honest, Reed Cooper sprang from a number of different sources. I’ve mentioned my grandfather and my father a number of times elsewhere, as well as the strong influence both men had upon my life, and each contributed qualities to Cooper that resonated with me. Cooper has my father’s gray eyes and his quick reflexes. My father was a Navy fighter pilot who had flown combat missions in both World War II and Korea, and his eyes could go cold and hard when he was riled. I had once dreamed of following in his footsteps and becoming a pilot myself, but unfortunately I ended up being myopic and forced to wear glasses, which killed that aspiration. I’ve always been fascinated by flying, which was part of what made me decide that Cooper would be a pilot by profession. If I couldn’t be a pilot, then dang it, I would write about a guy who could! Cooper’s personality was drawn mostly from my grandfather. He had been a law enforcement officer in the southwest back when it was still a pretty lawless place, and he had seen a lot of violence in his 40 years in uniform. He’d faced men in real gunfights, had killed men, and this created a hardness in him that was sometimes palpable. He could be generous, loyal, and loving to his family; but when pressed he could turn into one of the most intimidating men I’ve ever known in my life. He had no fear in him; just a cold certainty that he could handle any situation thrust upon him… and I heard stories of how this unflinching, deadly confidence could make even the meanest hardcases quail at the thought of challenging him. His toughness and courage, combined with his devotion to his family and friends, very much inform Cooper’s actions throughout the story. 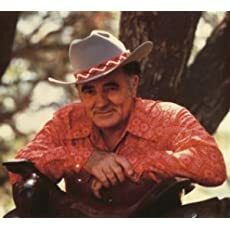 One of the first books I ever read for myself was a book by Louis L’Amour, titled “Flint“. It is about a man who was forced into a gunfight as a young man, and it inspires a legend about a “Kid” with astonishing skill with weapons. I was heavily influenced by L’Amour as a writer when I was young, and I wanted to pay homage to him; so that element became part of Cooper’s past. I’ve spoken about the Clint Eastwood movie “The Outlaw Josey Wales” and how a chance pausing of a VHS tape of the movie triggered the thoughts and ideas that ultimately became The Desolation Trilogy, and the scar Josey wears after an attack by Missouri Redlegs that kills his family became part of Cooper as well. In the end, all these factors came together to create the framework upon the character; but the story often changed my preconceived notions about him, and he sometimes surprised me in his reactions and decisions as I wrote it. In many ways, Reed became far more than the sum of his parts; a man who is, in his own way, a very real person to me. He really is a good guy; once you get past his somewhat prickly demeanor, of course….